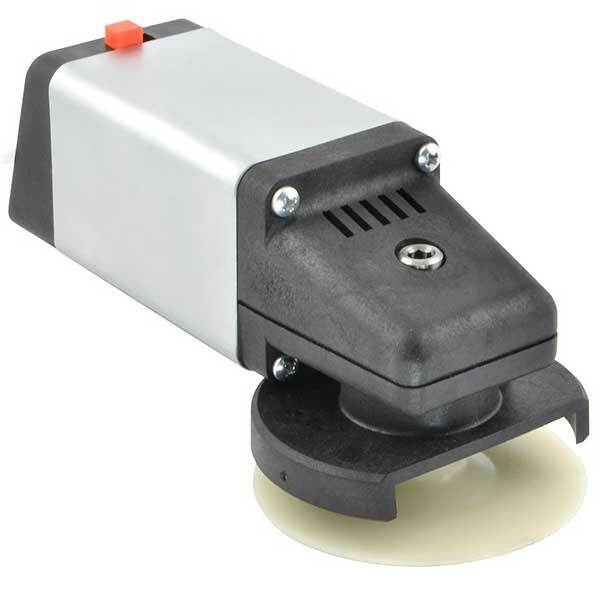 Micro-Make™Heavy-Duty Right Angle Disk Sander / Drill is a versatile tool for removing rust, grinding metal, shaping and smoothing wood, plastic, fiberglass . . . and for drilling holes in places no other tool will go. 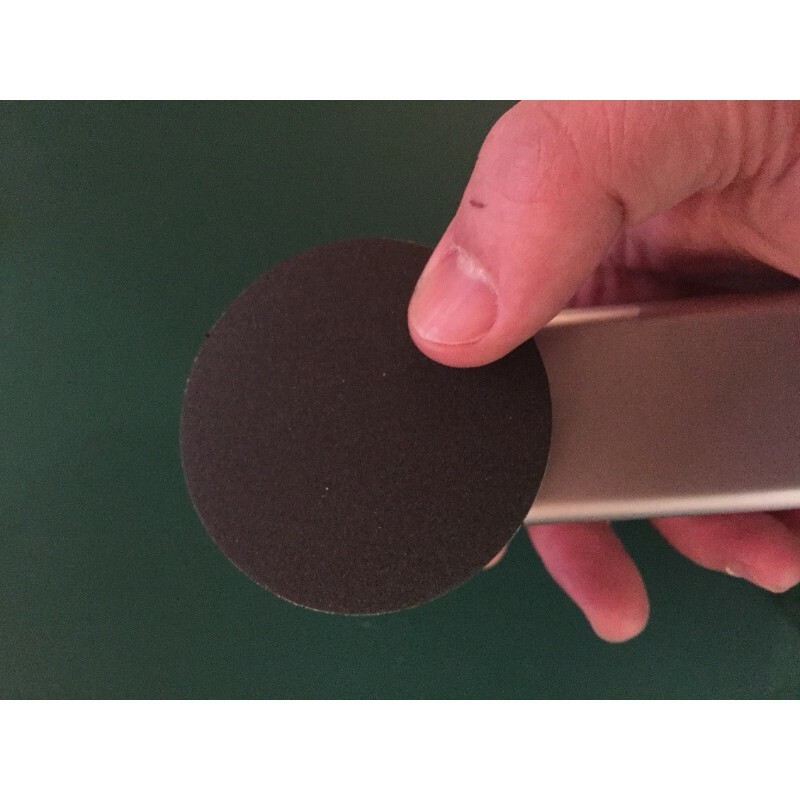 Micro-Mark™ Tip: This is also the perfect tool for cleaning and finishing gourds! Now comes with our NEW Hook-and-Loop Sandpaper System. Speed: 400 to 3,300 rpm. 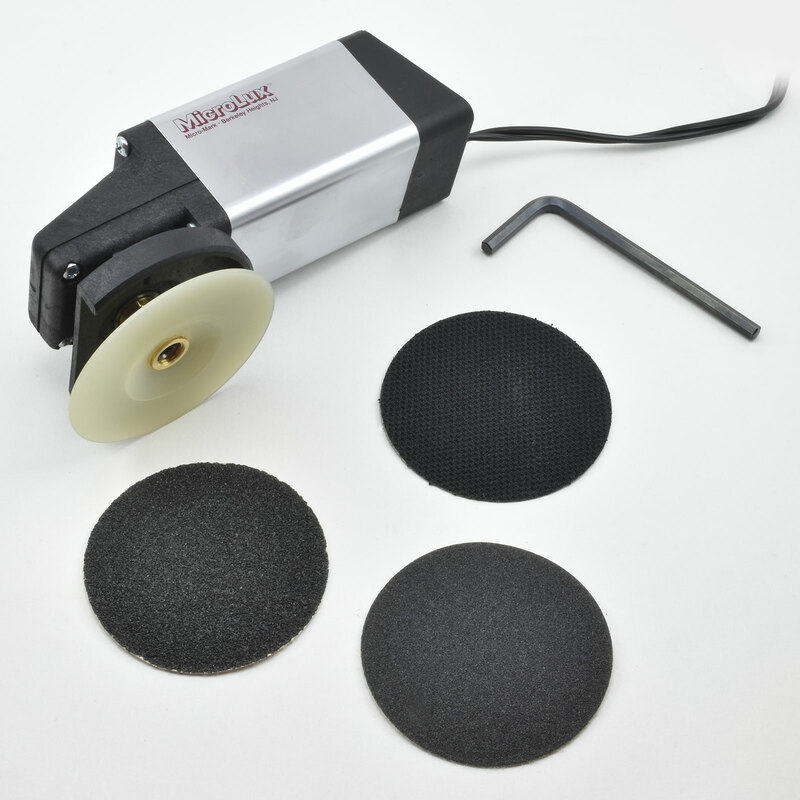 Includes semi-rigid disk mounting wheel for finishing flat surfaces, hex wrench, one hook-and-loop system disk to mount onto the semi-rigid wheel and 2 assorted grit hook-and-loop system sanding disks. Specifications: weight 12 oz. ; length 5 inches; disk dia. 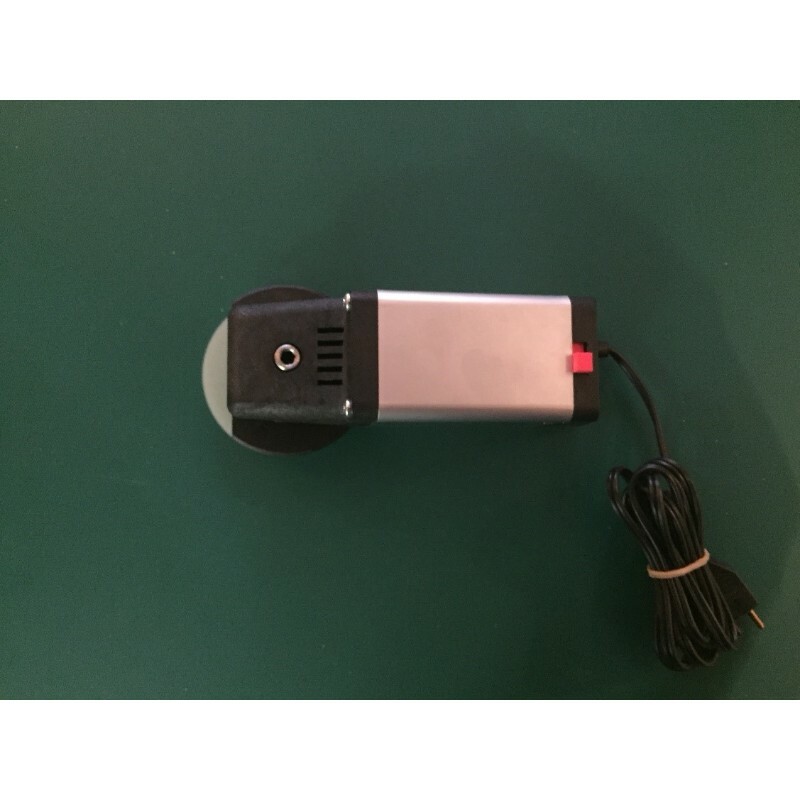 2-3/8 inches; speed 400 to 3300 rpm; motor, 12VDC, 110 watt. This sander is awesome for working on gourds except for one problem: the sticky backed sanding disks formerly provided for them. They were horrible! <br>Most of us were fabricating our own velcro systems of one kind or another so we could have flexibility with a variety of sanding papers. 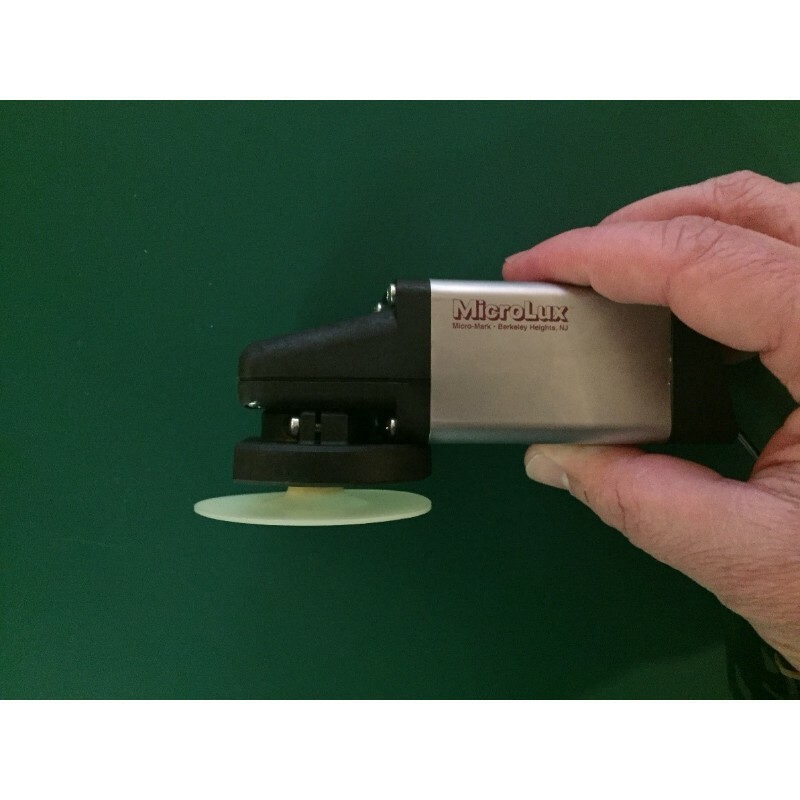 FINALLY Micro-Mark has added a 2" velcro adhesive disk and sanding pad. I don't see them in the catalogue yet but a pair was included with my recent order for a new sander (my third, I'm really hard on them!) and I couldn't be more delighted! I love it when a company listens to its customers and responds appropriately. Thanks so much Micro Mark. How do we find them on the website? Make LOTS and keep the charge competitive!! !